While sometimes a commodity that is taken for granted, sheds are useful for a variety of reasons and each is different depending on the purpose. In a sense, sheds are some of the more useful buildings because of the many functions that they can perform and that function can vary person to person and depending on how it is built. What are some of these reasons and why would someone want to build a shed on their property for themselves, their family and their block? One of the most practical reasons that someone may have for building a shed would be to create extra storage space. If you were to build a shed in the backyard, you could easily house all of your tools and machinery if you build it to your personal specifications. If not for landscaping, storage sheds are perfect places to hold any other items that you want to keep but don’t have room for in the home. Seasonal items especially are useful to keep in an exterior shed and then bring out when you need them. This will reduce clutter in your home and keep it looking nicer. While storage may seem an obvious use for sheds, there are other more creative things you can do with them too. For the artist in you, sheds can double as a studio or workshop for your work or as a quiet place to collect your thoughts. Work and hobbies too can benefit from a shed as one can be used as a home office or a place away from the noise of the main home to get work done. Even if just for the enjoyment of life, a shed can be your home next to home. 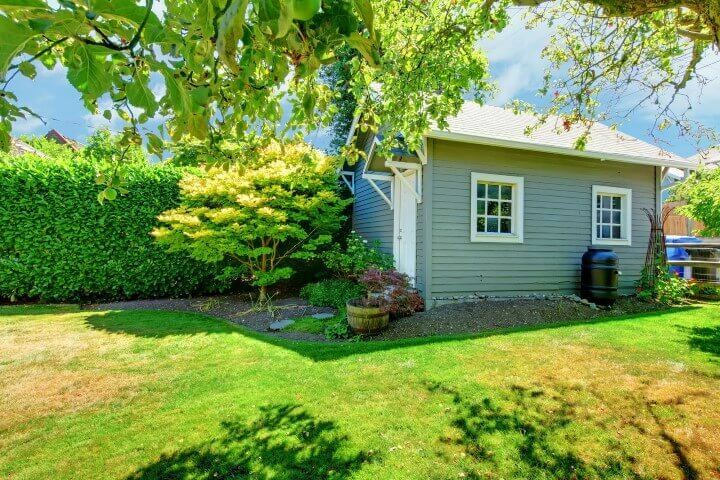 Storage sheds and other builds are very useful structures for any Perth home or neighbourhood because they have so many uses. Whether for extra storage or a place for your arts and crafts, sheds serve well and can be built any way that you want them to suit your home, situation and intended use. For more information about ordering custom-designed sheds for your home or block, please call 1300 778 628.